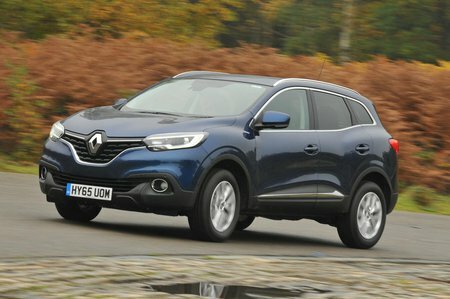 Used Renault Kadjar Review - 2015-present | What Car? 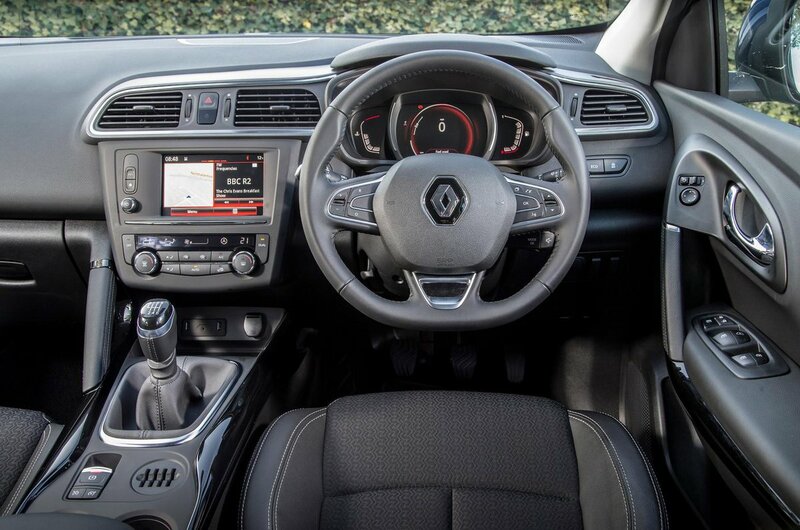 What's the used Renault Kadjar hatchback like? Building on the success of its smaller sibling, the Captur, the Renault Kadjar is a bigger SUV aimed at families, those who need a more sizeable car than a regular hatchback and don’t want to go down the MPV route. To that end, the Kadjar is one of the more practical options when it comes to rear seat space. Okay, it does have a transmission tunnel that limits leg room more than rivals like the Peugeot 3008, which features a flat floor, but even people over 6ft tall will be comfortable in the back. The doors also open wide enough to give you enough space to put a young one in a child seat. Front seat space is equally good, with plenty of leg and head room. There are lots of cubbies to store water bottles or to hide electrical items, such as a portable sat-nav or your smartphone. The boot is one of the biggest in its class, even marginally bigger than that of the Nissan Qashqai on which the Kadjar is based, and on higher trim levels you can have a handy false floor. This helps when the 60/40 split rear seats are folded down, because it creates a virtually flat load area. Those seats don’t slide forwards or backwards, though, as they do in the Skoda Yeti or Kia Sportage. The Kadjar doesn’t drive as well as the Seat Ateca, because the steering doesn’t inspire confidence and the car can’t change direction with the same verve as a conventional hatchback. Things are made worse when this SUV is equipped with larger, 19in wheels, because it makes the ride a little too choppy.